Anagen– It is a growing phase which lasts for 2-7 years and determines the length of hair. Catagen– It is regression phase which lasts for 10 days and hair follicle shrinks. 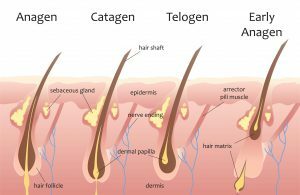 Telogen– It is resting phase which lasts around 3 months. Along with those hairs which are in resting phase, new hair starts to grow. Early Anagen– It is shedding phase in which the resting hair reaches its terminal position in follicle from where it finally detach. 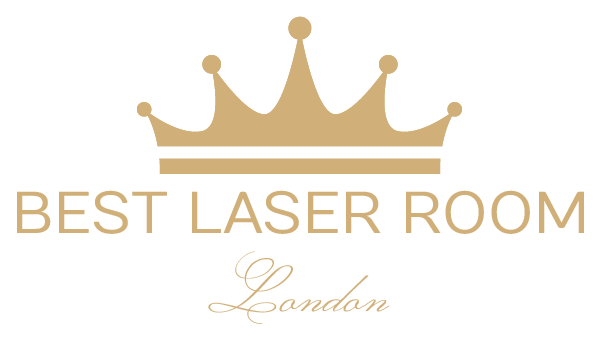 Out of the four stages above, Laser Hair Removal works effectively to destroy hair during Anagen (Growing Phase). The growth phases vary for different areas of the body. Usually, for treating face, treatment sessions are 4-5 weeks apart because hair growth phases cycle in and out more rapidly. For treating under arms and bikini area, usually treatment sessions are 6-7 weeksapart because growth cycles are slower. For the other body areas, treatment sessions generally are 8-10 weeks apart. We would like to suggest you that in order for the laser method to be effectively giving you best results, you must keep following our recommendations for the length of time between your treatments. How to prepare for the first laser depilation session? Avoid tanning and using sunless tanners for at least a month to prepare for laser hair removal. Refrain from plucking or waxing your skin. Shaving is fine, but these other hair removal techniques can reduce the effectiveness of the laser treatment.Also, the hair should not be bleached. Clean the skin at the treatment site.Leave it free of cosmetics, lotions and creams.If you apply deodorant, it will be removed prior to treatment. Is laser hair removal forever? The majority of people who use it find that laser hair removal is safe and well-tolerated. Although laser hair removal is incredibly safe, there are some potential side effects and risks. Some normal side effects may occur after laser hair removal treatments, including itching, pink skin, redness, and swelling around the treatment area or swelling of the follicles (follicular edema). These side effects rarely last more than two or three days. Any side effects should be reported to your practitioner.